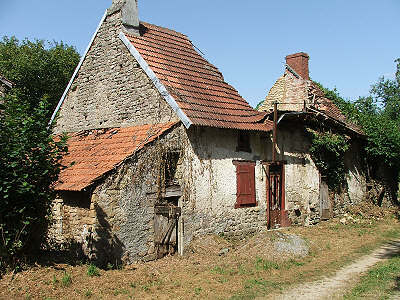 A traditional Creuse house for renovation standing on a small country lane. 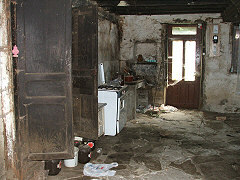 Now in a sorry state, there are in fact two houses to convert into one dwelling. 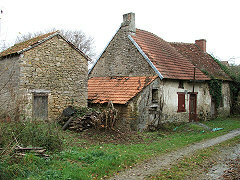 Stonebuilt, with original stone floors, open fireplaces and exposed beams, they are typical Creuse village homes. 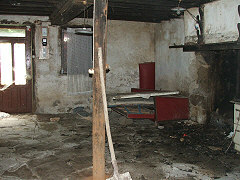 The roof and some timbers need replacing and part of the wall at the back has collapsed. 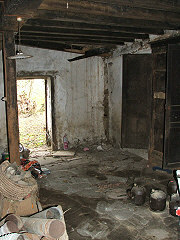 Each of the houses had a bread oven. 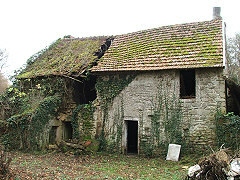 One is still in good condition, but the other is falling down. This is not a project for the inexperienced. 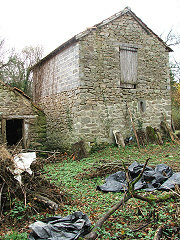 To the side is a separate outbuilding, useful for storage or it could be converted, if required. 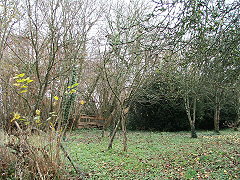 There is garden to the side and back, with mature trees. 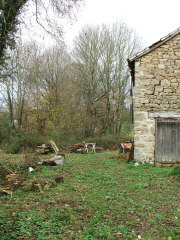 Just opposite is a plot of land that could be used for a vegetable garden or it would make a nice orchard. On the edge of a village, it is just a few minutes from Dun le Palestel where you will find shops, restaurants, supermarket and local amenities. In the other direction is the stunning Valley of the Painters.